The Members of Tutumang in Morobe Province passed a resolution to reject the memorandum of understanding (MoU) of Wafi Golpu Mine signed by the PNG Government and the Mine Developers last Tuesday. More than eight recommendations were passed during the Tutumang meeting in Lae yesterday by 34 Provincial Assembly Members of Morobe. The resolution was passed after the Member for Huon Gulf, Ross Seymour, and President for Wampar LLG, Michael Poane, presented the 7-days petition for Wafi Golpu Mine Area Landowners. The 7-days petition was served to the Developers, Bulolo MP, Sam Basil, Prime Minister Peter O’Neil, MRA and the Department of Mining. This came after the landowners gathered at Gingen Village over the weekend at Wafi, expressing their frustrations over the memorandum of agreement that was signed. The landowners from the Wafi exploration site in Bulolo – the pipeline corridor in Huon Gulf and the Wharf in Lae District, said they have not participated in the signing of the MoU. The Wafi Golpu project is an underground gold and copper mine in Morobe Province. It is a 17.4 billion kina project – the developers of the project are Newcrest, Australia and Harmony in South Africa. The project is expected to produce 4.5-million tonnes of copper and 7.4-million ounces of gold over a 28-year mine life. 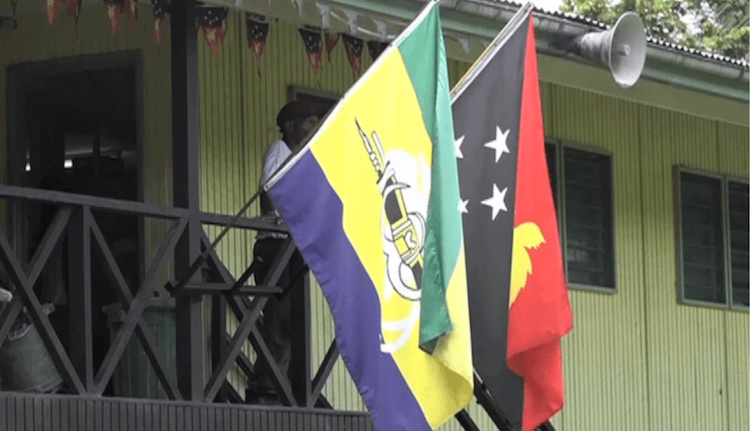 34 members of Morobe Provincial Assembly including Morobe Governor, Ginson Saonu, the six MPs and the LLG Presidents agreed to draft a new MOU to submit to the Government and the Wafi Golpu Joint Venture for consideration.